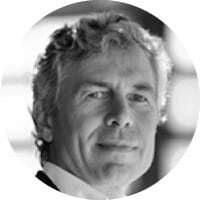 Wayne Eckerson is an internationally recognized thought leader in the business intelligence and analytics field. Wayne has been a thought leader in the business intelligence and analytics field since the early 1990s. He is a sought-after consultant and noted speaker who thinks critically, writes clearly and presents persuasively about complex topics. Eckerson has conducted many groundbreaking research studies, chaired numerous conferences, and written two widely read books: “The Secrets of Analytical Leaders: Insights from Information Insiders.”(2012) and “Performance Dashboards: Measuring, Monitoring, and Managing Your Business” (2005/2010). I started researching and writing about data warehousing and business intelligence in 1993 when I joined the Patricia Seybold Group, a small analyst firm in Boston. I fell like I caught the industry while it was still just a ripple in the middle of the ocean, and I’ve been riding the wave ever since. It’s now become a tsunami that has washed over the corporate world. Data is now viewed as a critical corporate asset and BI has morphed into anaytics and now AI. I’ve been writing and speaking about self service for nearly 15 years. It’s always been something BI vendor’s have trumpeted, but until recently, it was just a pipe dream and marketing hype. Today, BI tools have become so easy to use and powerful that we’ve quickly gone from a dearth of self-service to an overdose of self service. When everyone is empowered to create their own reports, there’s a good chance the organization has become a Tower of Babel where everyone talks, but no one communicates. So, the watchword today is “governed self service”. Without standards governing the use of data, chaos reigns. I formed Eckerson Group to surround myself with the most insightful analysts in the industry. And it’s worked. We have a growing team of analysts/consultants, each of whom has 20+ years of BI and/or data management experience. I learn as much from them as I do on my own. I’m inspired by people who reach the top of their profession. It’s easiest to see these people in the world of sports. I’m from Boston so I’ve admired the New England Patriots organization over the years. They have redefined the game by their commitment to teamwork, hard work, fundamentals, focus, and unselfishness. They consistently take mediocre players and create playoff contending teams. They win because they outwork, outsmart, out-hustle their competitors, and they work as a team rather than a bunch of egotistical superstars. Lots of life lessons there. I’m amazed how many people say they follow me. Most appreciate my body of written work. Some clients have hired me because of material I’ve written. I’ve discovered I have the ability to explain things in a very clear, concise, and thoughtful way. I wish I could say I was born with a gift, but the reality is that I’ve always worked very hard at writing, ever since I was a kid. And I have an insatiable curiosity for how things work and fit into the bigger picture. I love to tease the significance out of events and best practices out of technologies. We are doing webcast and reports series now on “modern data warehousing”, “modern data pipelines”, and “AI is the New BI”. The industry thought Hadoop and data lakes would replace the data warehouse. But quite the contrary, Hadoop is getting displaced by the cloud and data warehouses remain kicking. The industry is now supplementing data warehouses and data lakes with data pipelines that generate data sets for power users and applications. BI has morphed into advanced analytics that provides greater ad hoc insight into patterns and relationships into ever large volumes and variety of data. Beyond that, we’ll see more BI and analytics embedded into other applications to bring insights closer to where users live day in and day out. We have several constituencies. Data analytics vendors use our content to support content marketing strategies (i.e. syndicate our reports to generate leads and branding.) And, data analytics practitioners read our content to validate a strategy, technique, tools or analysis. We also have a new, successful podcast series called “Secrets of Data Analytics Leaders” that is available on iTunes or Google Play.